Leopards and hares and bears, oh my! The mascots for the 2014 Sochi Winter Olympics are here, and in comparison to previous Games' characters, these guys won't keep us up at night. 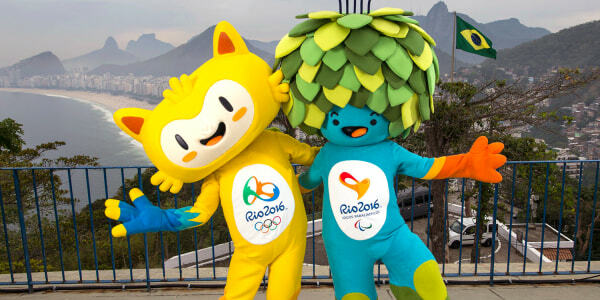 Since 1972, it has been an Olympic tradition for each Games to have its own mascots. According to the Olympic Organizing Committee's official mascot page the mascot "can be a person, an animal or a fictitious being, which reflects the cultural characteristics of the host country and symbolizes the values of the modern Olympic Movement." The process for selecting the mascot is left up to the organizers of the Games. The polar bear, hare and leopard were chosen from more than 24,000 sketches submitted, voted on in a poll, and then narrowed down by a judging panel. This marks the first time the mascots have been selected by an entire nation. While some mascots in the past have bordered on creepy (remember the giant-eyed cyclops from the London Games? ), the Sochi characters are cute and cuddly. In fact, the furry friends have already racked up more than 20,000 fans on their Facebook page. Check out more of the mascots from previous Games in the slideshow. One of the many traditions of the modern Olympics is that each Games have its own mascot. Meet the madcap mascots of the Games.